The last part is my favorite. 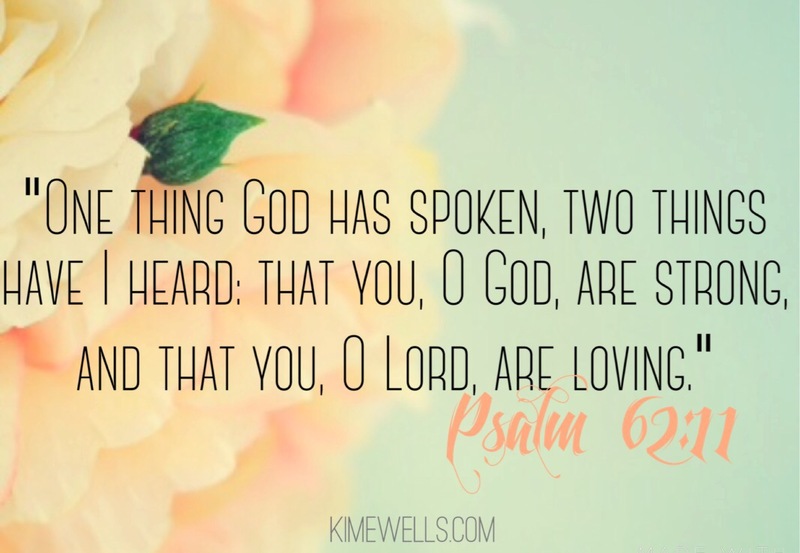 You, O God, are strong & You, O Lord, are loving. What a perfect combination. What if He was strong, but not loving? Think about it. What if He was loving, but not strong? What a wonderful thing for us all that He is both! I am going to praise Him today because He is both strong AND loving. He is able to accomplish any task, to handle any situation, to take care of anything I need – and He loves me enough to do all of that. He will work everything out for good. He is able to do immeasurably more than I ask or imagine – and I can trust that He will. Praise God! My prayer for you this week, sweet friends, is that you will experience God’s mighty strength this week – that you would recognize that HE IS ABLE – and that you would also experience His mighty love – that you would feel how deeply you are loved by the God of all creation.